Nicole Edwards, of Winnipeg, Canada, is first at the finish line at the by-invitation-only Stars of the Mile race in downtown Traverse City Saturday. 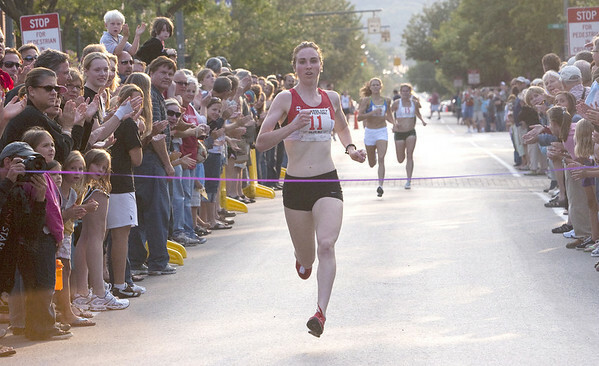 The race featured five female and five male elite runners. The winners in each race received $1,000.